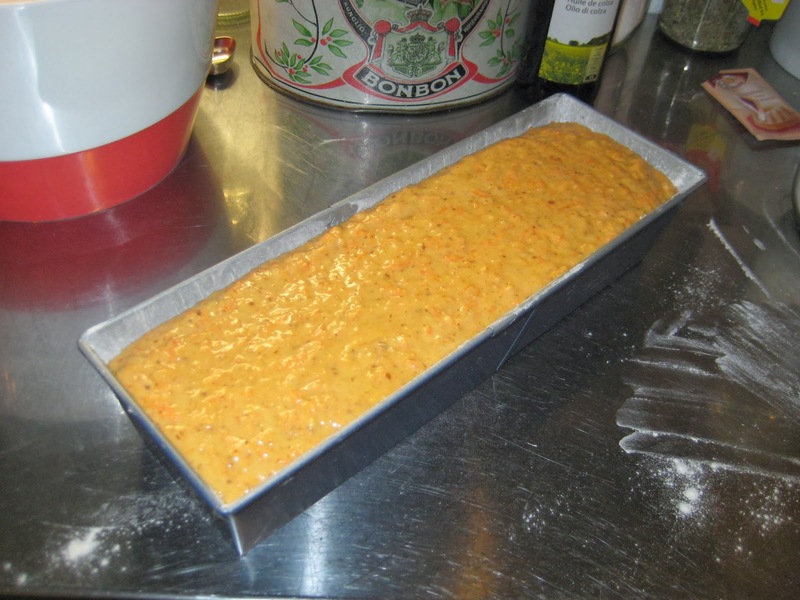 This recipe is very easy to follow and the only difficult task is shredding those 500 g of carrots. 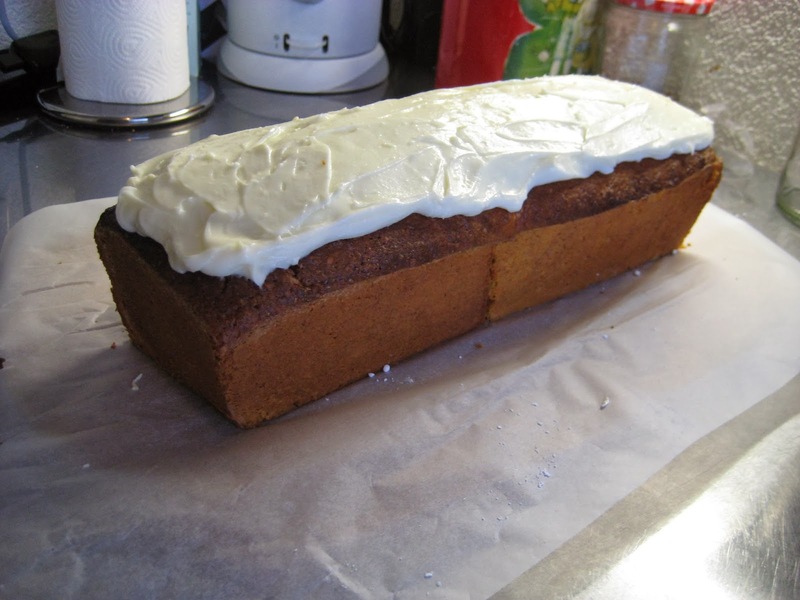 I decided to coat the cake with cream cheese frosting but it is equally delicious without (and you still get to decorate it with marzipan carrots!). 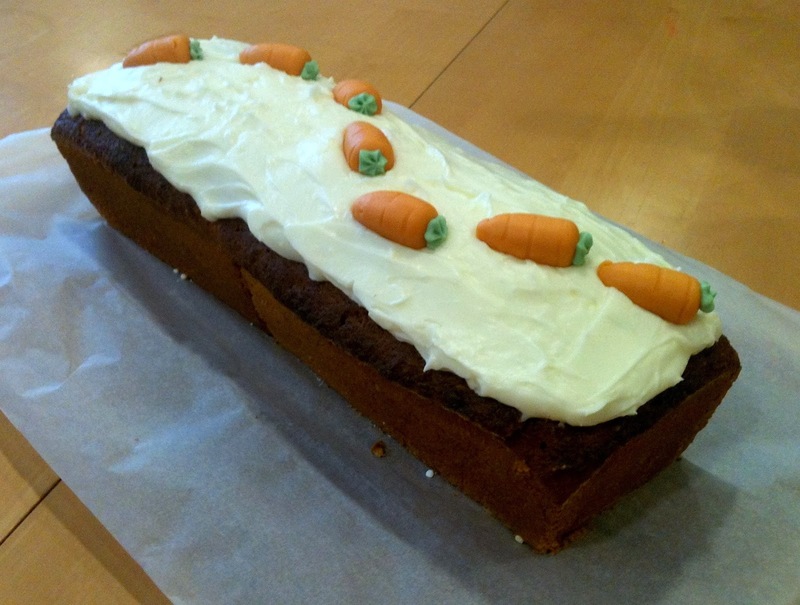 This cake was also an occasion to celebrate my first 1st-author publication in a peer-reviewed scientific journal! 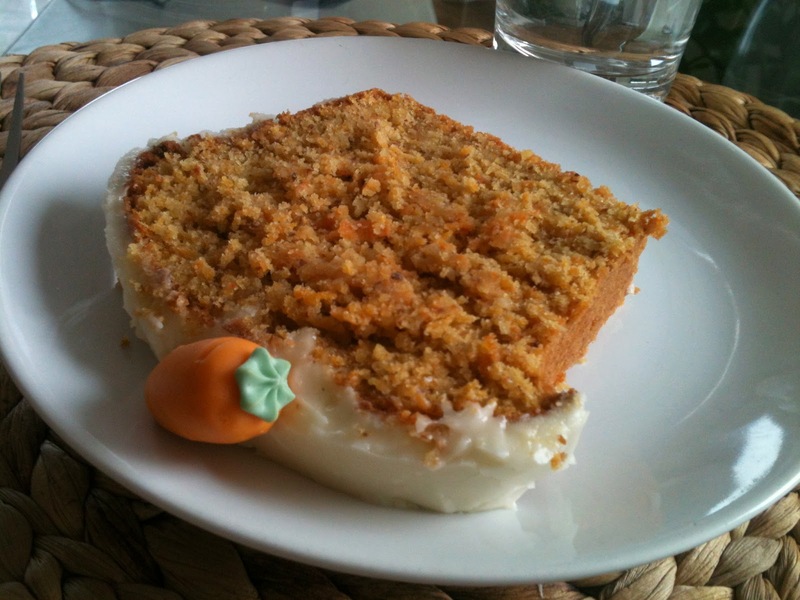 And last but equally important, today is the 1st-year anniversary of Laura's Gourmandises!!! 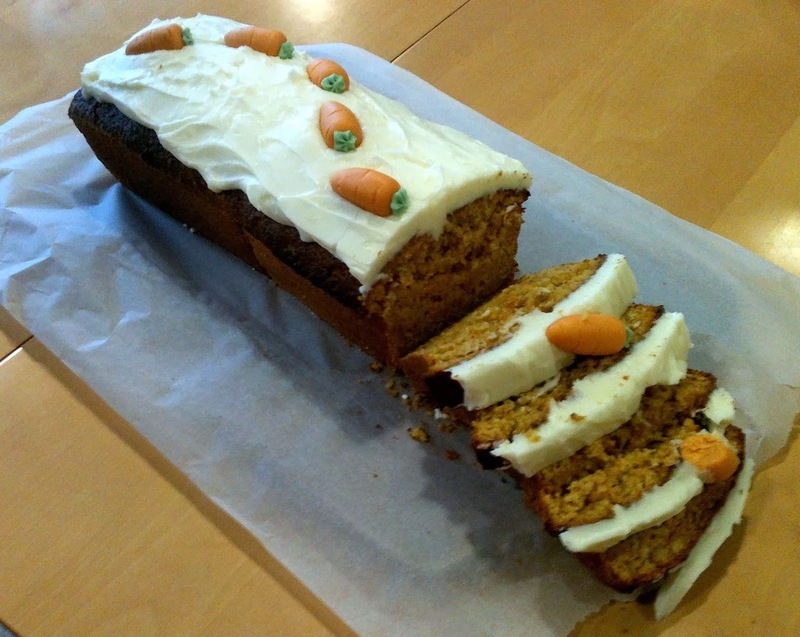 So many things to celebrate clearly called for a cake and this carrot cake made for a great Gourmandise on this 14th of February 2014. Beat up eggs + sugar until white. Add fat (I do 1/2 butter 1/2 oil) and mix. Mix flour, baking powder and spices, add to batter and mix. 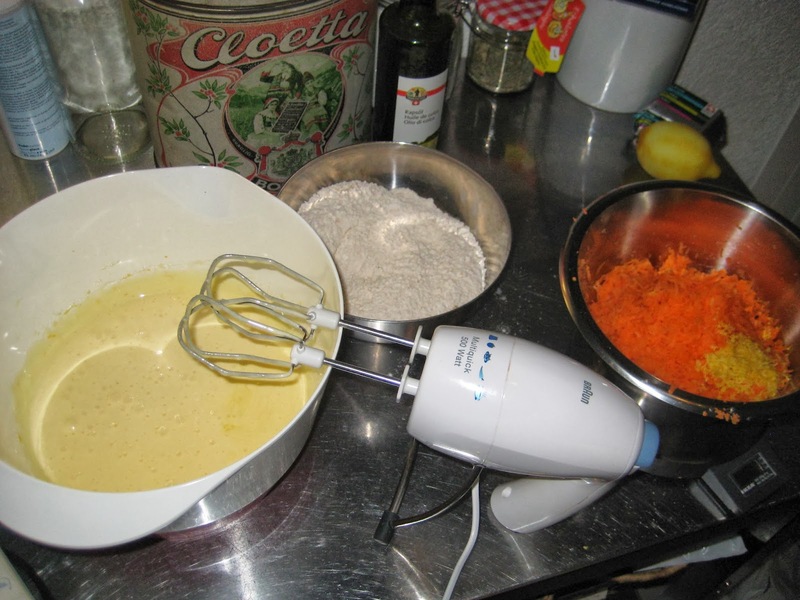 Add carrots, almonds, and lemon and mix. 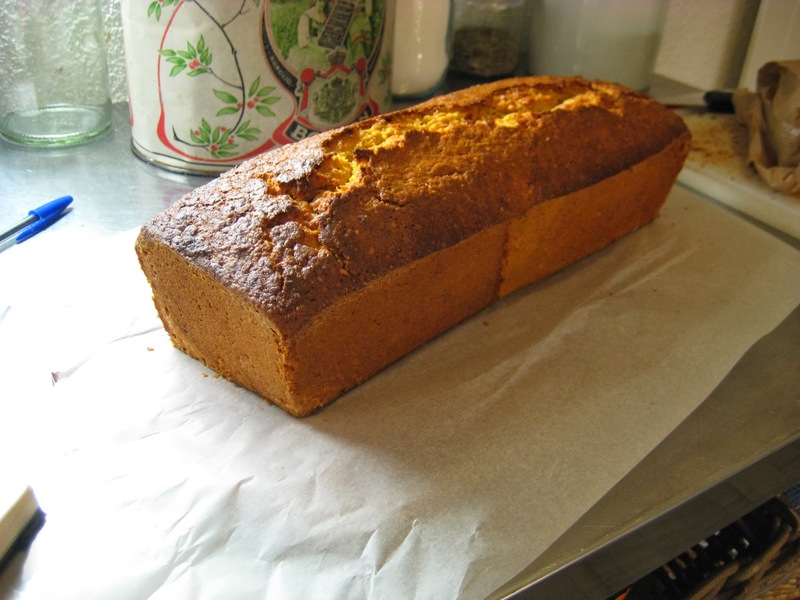 Transfer to a buttered and floured cake pan, bake in the oven 60 min at 180C. Unmold and let the cake cool.